On many money saving blogs, people would mention something like Airbnb or VRBO as ways to stay somewhere for less than a hotel. I even met someone earlier this year who mentioned it must have been really expensive with how much time I spent in Tahoe one winter. I probably looked at her like she was nuts. Other advice I’ve read on ways to save money on lodging is to stay at a hostel, couchsurfing, or even camping outdoors. But what if you prefer a nicer place to stay whether by yourself, or with friends and family without the company of random strangers while you are away from home on vacation? The best way to save a lot of money on traveling is really simple. Instead of going somewhere for a week or two, you stay longer. You’ve already paid for the transportation upfront, so those fees are a fixed cost and the longer you stay somewhere, the better the chances of negotiating a discount on the lodging rates. Now this might not work for many people because it might not be possible to take that much time off. 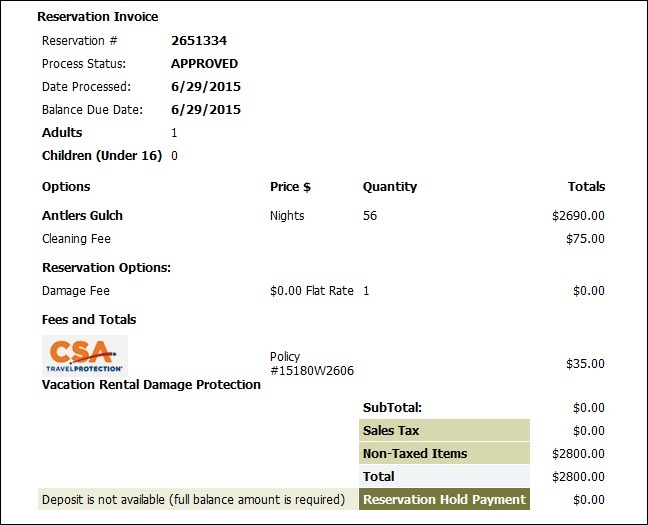 If you are able to get the time off from your work or if you are able to structure your lifestyle for more freedom, here is how a friend and I saved almost $8,000 staying two months in Keystone, CO the summer of 2015. My friend is a small business owner with an office and an employee while I work for myself running an online business. This allows him to take the time off and work remotely for the slower part of the year while I’m able to work from anywhere as long as I have an internet connection. He has been spending summers in Colorado for a few years now after discovering it was cheaper to find short term housing than spending two weeks to vacation in the Rockies. I had just spent the winter living and snowboarding in South Lake Tahoe, and my lease was up so I decided to meet up with him in Colorado this particular summer. With the plan to be in staying Colorado for July and August, I started searching for a rental online two weeks before our arrival date. 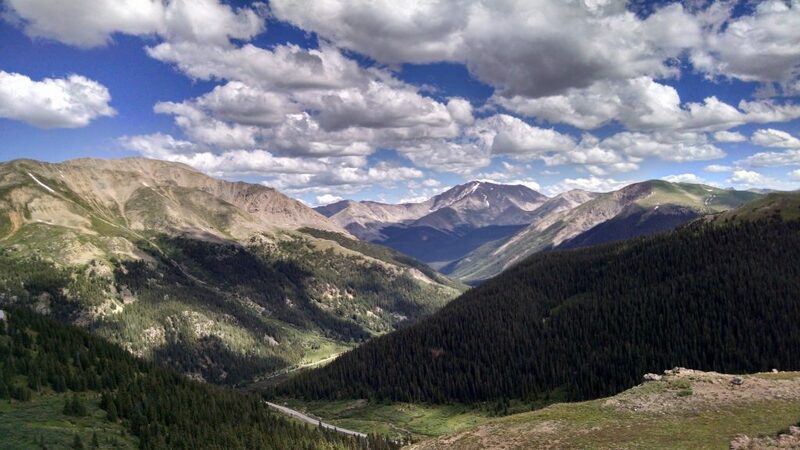 We were looking for a place in Summit County, which included Breckenridge, Frisco, Dillon, Keystone, and Silverthorne. Thanks to the internet and the sharing economy, it is now easier than ever to find vacation rentals with everything you’d need listed online, with descriptions, multiple pictures, reviews from past guests, and calendars with current dates that are still available. Most private owners and property management companies will list their places on the major vacation rentals sites such as Airbnb, Expedia, Flipkey, HomeAway, VRBO, and TripAdvisor. Other sites you can try searching are Gulivers, HomeExchange, HomeToGo, Rentalo, Sublet, VacationRentals, and Vaycayhero. You will probably notice many of the vacation rental sites online actually use the same database from sites like HomeAway or TripAdvisor. 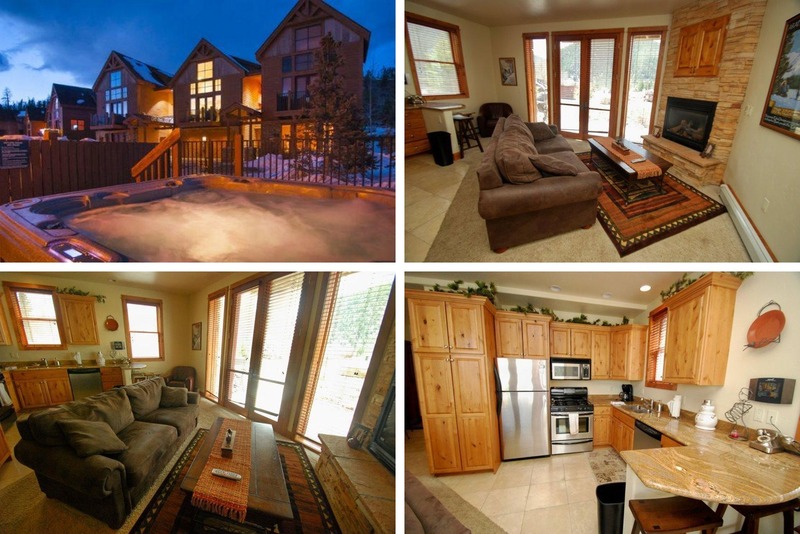 A friend and I are looking for a place to rent in Summit County from 7/6/15 to 8/31/15. It will just be the two of us staying in the unit. I was wondering if your rental is available during those days and if so, what the rates would be for a longer term rental. If you are emailing a property management company, you can also include a sentence inquiring about other places they may have available. After waiting a few days to receive replies, we narrowed down our choices. With a little more haggling we ended up with a 2 bedroom, 2 bath townhouse in Keystone for $2,800 for the two months, which comes out to $700 a month a person. This was a huge discount from the listed rate of $190 per night. If we had booked the entire 55 days online through the website, the total cost would have been around $10,450. 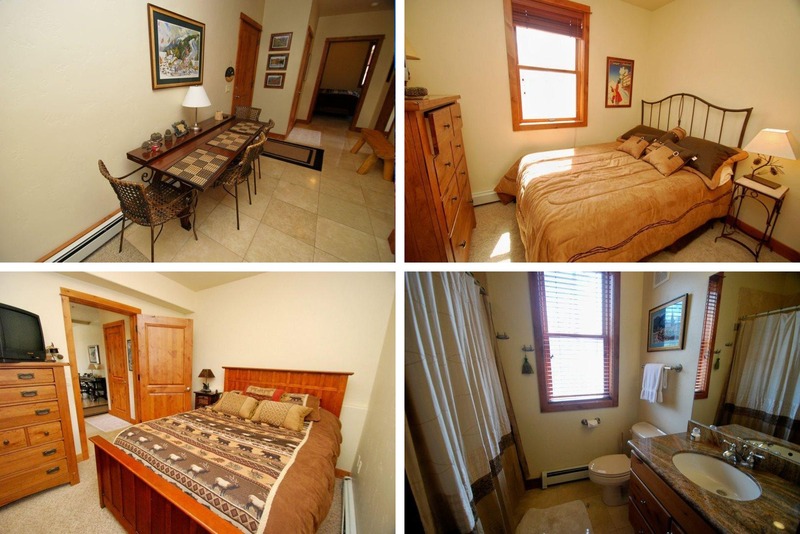 The fully-furnished townhouse had everything we needed for a comfortable two month stay. There was wireless internet and TVs in both bedrooms and the living room. It came with a fully stocked kitchen with all the pots and pans, cups, plates, and eating utensils. There was even a washer and dryer available so we didn’t have to take our clothes to a laundromat. All we needed to do was bring our suitcases and we were set. My friend pays about the same rent for a two bedroom, one bath apartment back home and it’s not even furnished. The townhouse was in a really convenient location with access to hiking, horseback riding, and mountain biking trails right out the door. There was access to a multi-use running and cycling path across the street that goes all the way to Dillon and Frisco, before branching off to Breckenridge in one direction and to Copper Mountain and Vail in the other. One of the major reasons why we were able to get such a low price is because summer is considered the low season compared to winter when everyone is up in the mountains for the ski season. This wasn’t a problem for us, since we were in the mountains for a summer of hiking, camping, paddleboarding, motorcycling, and bicycling. Traveling to destinations during off-peak times is an easy way to save money not only for lodging, but also everything else from flights, activities, and more. There is usually less people, so it’s less crowded and you can get better, more personalized service. By staying somewhere for a longer period, it can also make you feel you are getting more for your money. A $1,000 plane ticket may seem like a lot for just two weeks in Europe, but if you are there for 6 months, the price of the ticket is almost a mere afterthought. Finally, when you are staying longer, you can try negotiating for a lower rate. The best thing about slow travel is you are able to take your time and really experience an area. On a one or two week vacation, you arrived tired and jet-lagged from either flying or driving for hours to your destination. Then you try to see and do everything you can in that small time frame before it’s time to go back home. No wonder some people say they need a vacation from their vacation. Some people are able to easily see 10 cities in 10 days, but that is too much running around for me. By renting a townhouse for two months, we were able to live like a local. There is no pressure to do anything if I feel tired. I did grocery shopping at the City Market and had a kitchen to cook instead of eating out every night. I wandered around town during the weekdays when all Denverites had gone back home after the weekend. The benefit for an owner to rent out a property for two months at a much lower rate is that sometimes it is better to have the vacancy filled than sit empty and receive zero rental income during the slower periods. Also for many cities, longer term rentals of more than 30 days means not having to pay an occupancy tax that comes with short term daily or weekly rentals. Renting to a longer term renter could result in less cleaning fees that comes from having to clean the place after each tenant checks out. As for the person I was talking to who thought I was paying nightly rates for months in Tahoe? A few months later, she convinced her company to let her work remotely from three days to five days a week, and then took off to South Korea for a month. Do you have any good tips on finding affordable vacation rentals? Have you done any long term traveling?